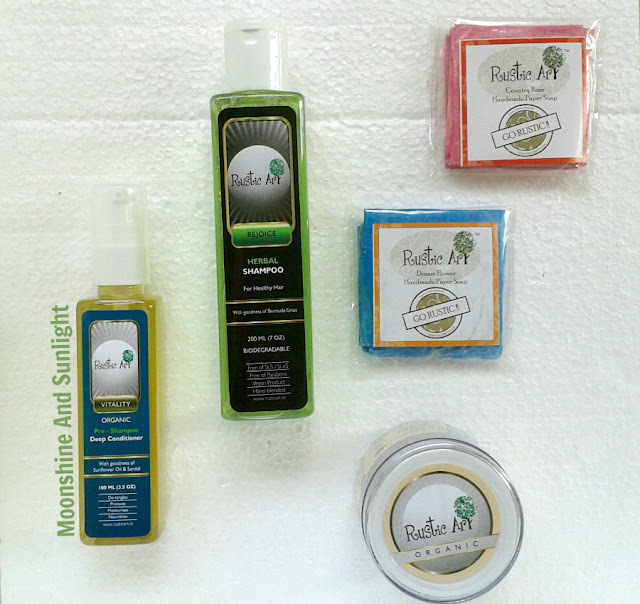 Presenting, Rustic Art, an Indian brand with lots of cruelty free, handmade products filled with organic goodness! I am so happy that the Indian consumers are opening up to handmade and organic products. They do make a difference and I can vouch for that,since I have almost stopped using chemical laden products for almost a year now( will soon do a post about that!) . The products do not have to be overly expensive, but of good quality and that the time when brands like Rustic Art can help you with their products. Rustic art, has an array of handmade products like organic Aloe Vera Gel, various types of handmade soaps , home care products and pet care( Bonus!) products! Their products are environment friendly and they claim the products are free from any chemicals and are vegan. The organic ingredients are certified as well. The price is something you all with love becaus ethe price is comparable to Khadi and so far I have felt that the products are better than the Khadi products.. I strongly support all of the issues above and try to stick to them as much as possible myself. I won’t say that you should buy their products because of these reasons, but, I would ask you to support them and indirectly support the causes; especially, when you are going to use the basic things, like soap or a shampoo anyways, Why not use one that is responsibly made. These type of products not only save you from the damage the chemicals cause, but also cause very less environmental damage. I had received some products from them a few weeks back, but didn’t start using anything till now except for the aloevera gel and I have already fallen in love with it! I have the Aloe Vera gel, two variants of paper soaps ( their specialty ), herbal shampoo and the pre – shampoo deep conditioner , which I am eagerly looking forward to use! The herbal shampoo is BIODEGRADABLE! I will be soon doing a review of each of these products, till then check out some of their products. The products are pretty reasonable and budget friendly. You can buy the Rustic Art products from various online stores. Have you tried any product from Rustic Art?? Would you like to suggest anything from them? ?